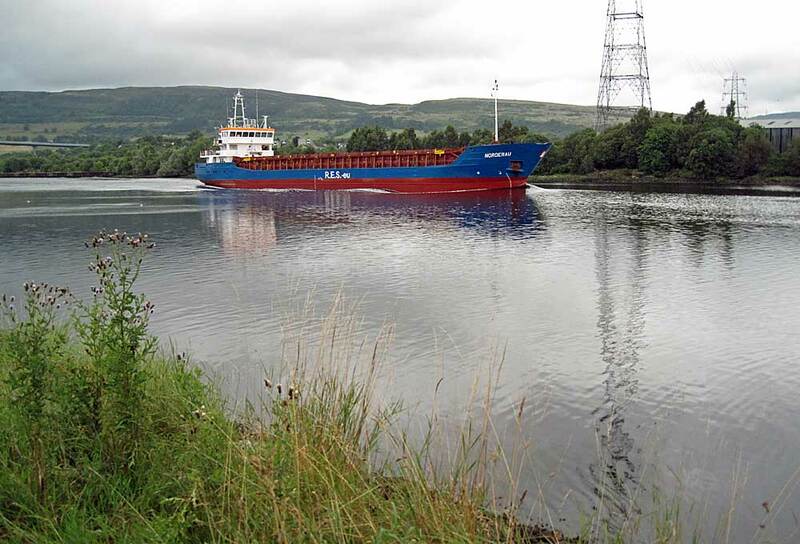 ​On 28 August, Glasgow-bound Norderau arrived light from Londonderry, Northern Ireland. Norderau is one of the numerous Rhein-class coasters of which Erwin Strahlmann acquired several examples at attractive prices following the availability of several incomplete ships once the River Danube re-opened to navigation around 2001. 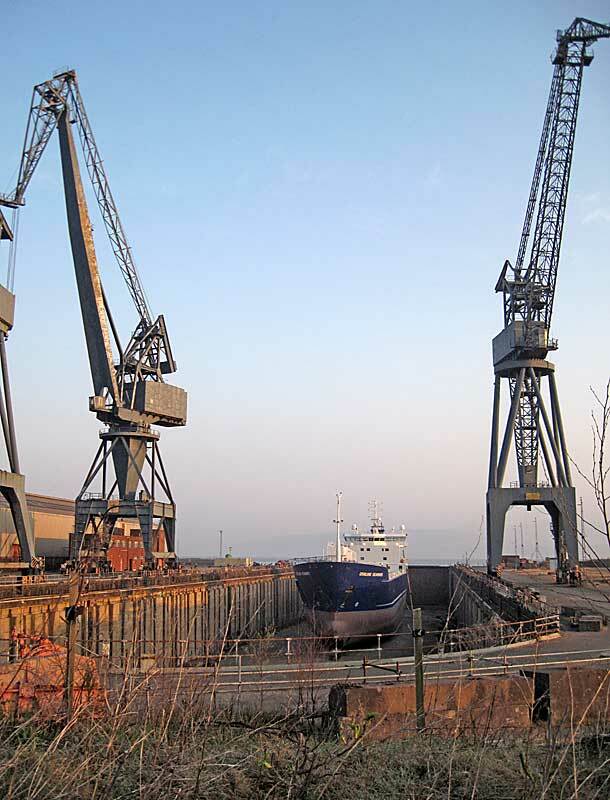 Norderau was built on the banks of the Danube at the Slovenske Lodenice shipyard at Komarno in Slovakia and is just under 88 metres in length with a deadweight of 3,712 tonnes. 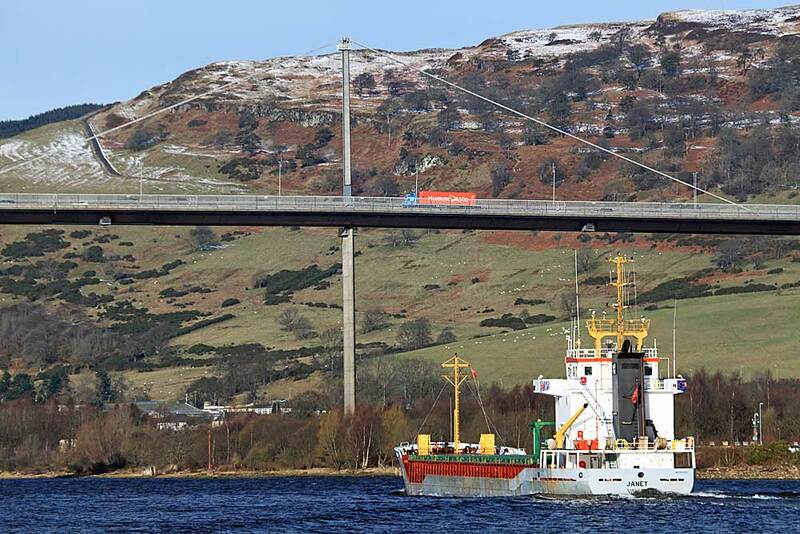 Other vessels in the Strahlmann fleet which have visited the Clyde on numerous occasions are Krempertor, Elbetor, Jevenau, Ostenau and Steinau. 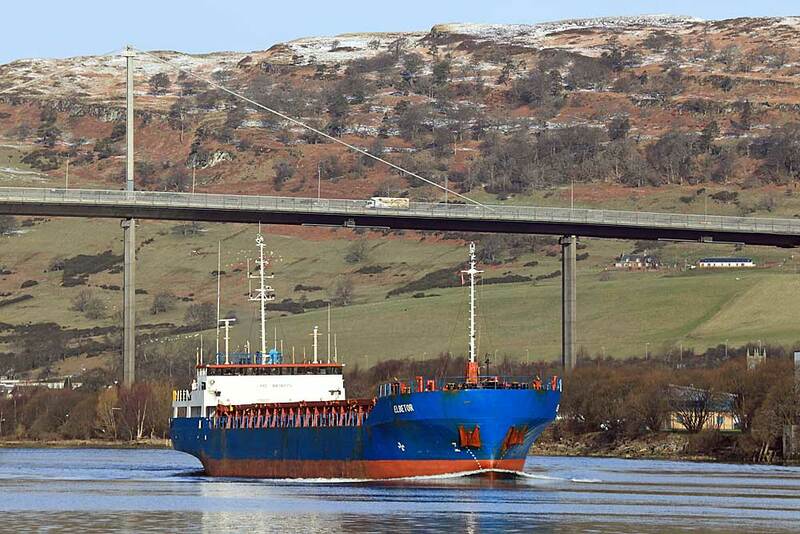 ​Sea Kestrel left Rothesay Dock at Clydebank around 09:30 hrs on 21 May, bound for Bilbao, Spain. She had arrived on the 19th from Lochaline on the Ardnamurchan peninsula, to deliver a cargo of what I believe was timber. 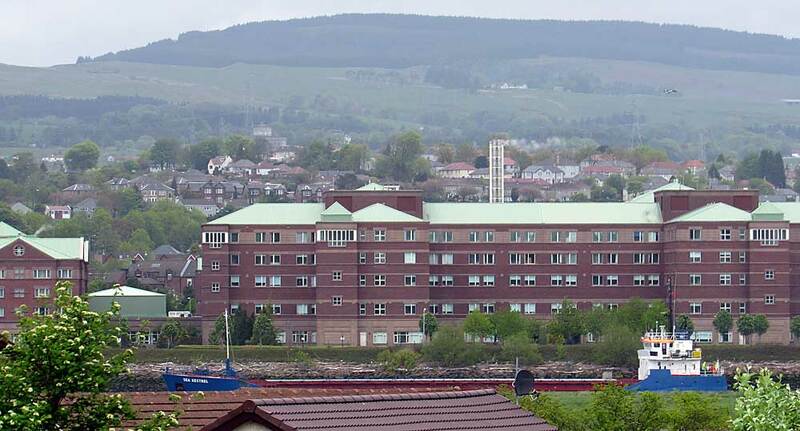 The Cayman Islands-flagged coaster, seen here passing the Golden Jubilee Hospital at Dalmuir when the river level was very low, is only partially visible. Abis Duisburg arrived from Emden in Germany late on 19 April 2015. She was built in the Netherlands in 2013 and is owned by Abis Shipping of Harlingen. 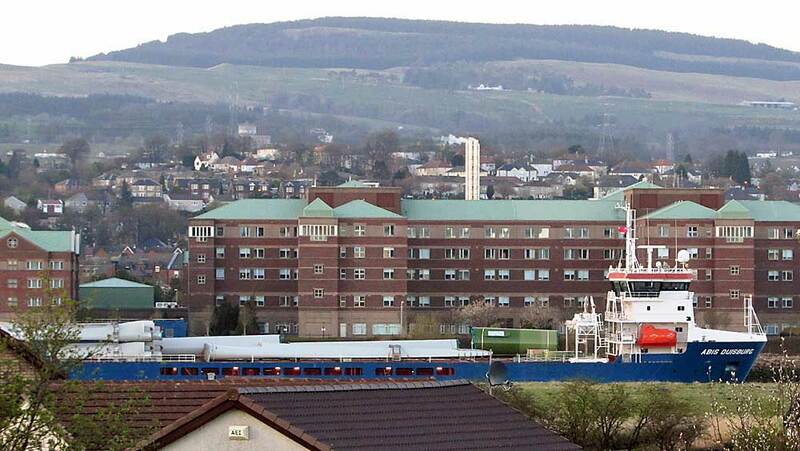 She`s pictured here passing The Golden Jubilee Hospital at Dalmuir on her way to the KGV Dock. 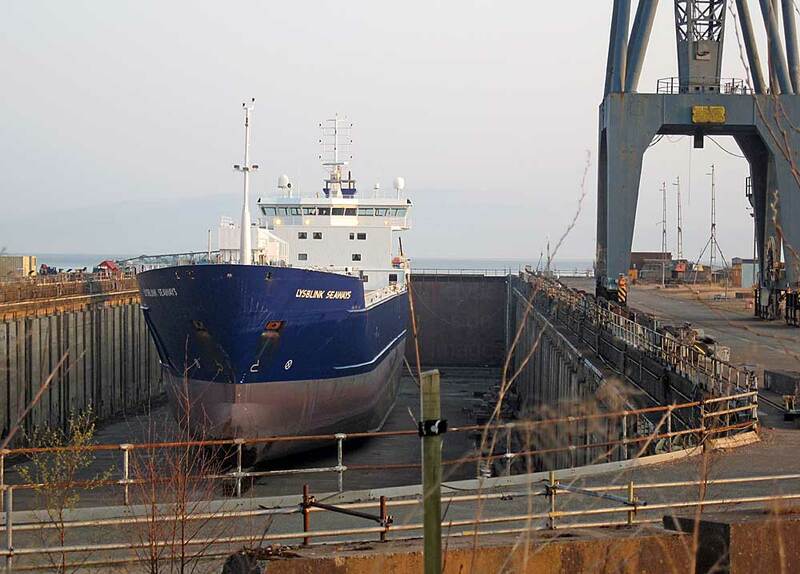 The 394ft-long (120m) cargo ship Lysblink Seaways grounded on rocks at Kilchoan on the Ardnamurchan peninsula during the early hours of Wednesday 18 February 2015 while carrying a load of paper from Belfast to Norway. 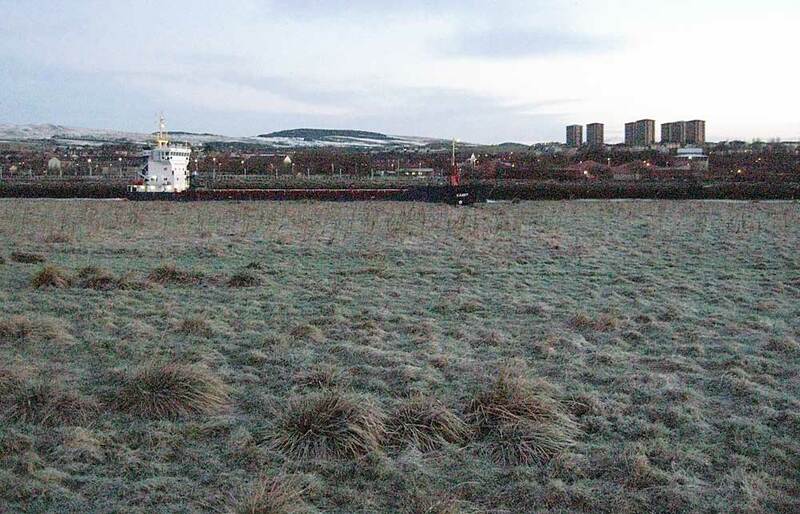 She was eventually refloated and towed 150 nautical miles to the Inchgreen repair yard at Greenock where this shot was taken on 10 April. 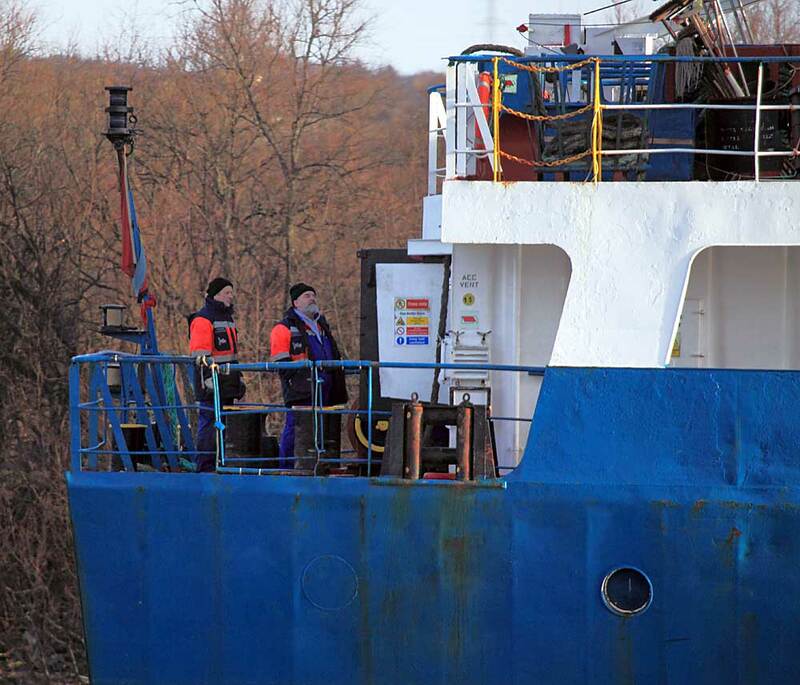 Following a damage assessment, however, the vessel`s owners, the DFDS Group, decided that repair was not a viable option. She was subsequently towed across the river to DRB Marine Services at Rosneath where she is slowly being broken up for recycling. The Maltese-flagged coaster Kairit (above right) passed Newshot Island on 4 February just as the sun came up. 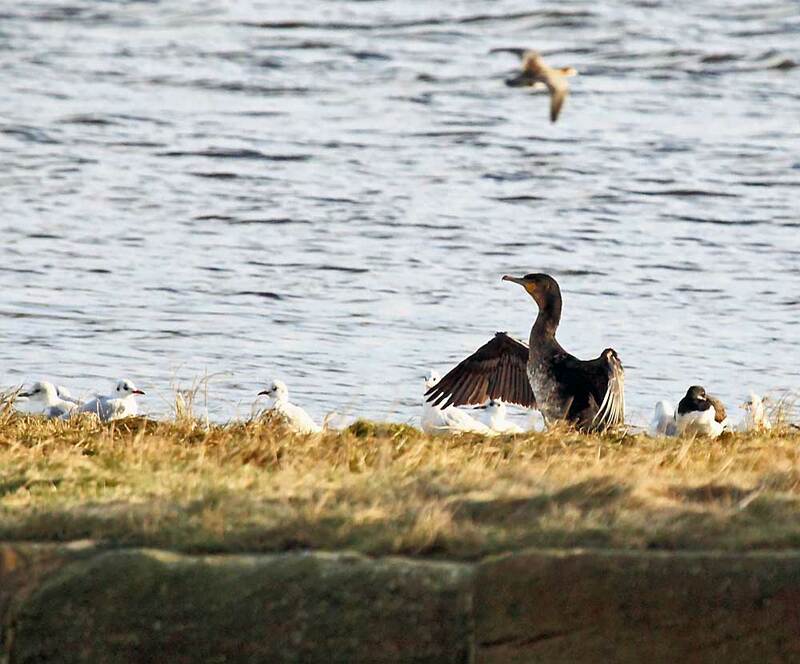 She was visiting Glasgow to discharge a cargo of salt from Torrevieja in Spain and as she approached, the roosting geese panicked and took to the air. She left the following afternoon destined for Runcorn in Cheshire. On 2 February, I took a morning stroll along the south side of the River Clyde between the Newshot Island reed bed and the Boden Boo Community Woodland which can be a productive area for wildlife watching depending on the season. It was quite frosty to begin with which enabled me to stick to the riverbank until the eastern edge of the Newshot Island Local Nature Reserve (LNR). The reed bed, is a popular low-water roost with waders and ducks although all I could see this time were a few Lapwing, Redshank, and small flocks of Wigeon. 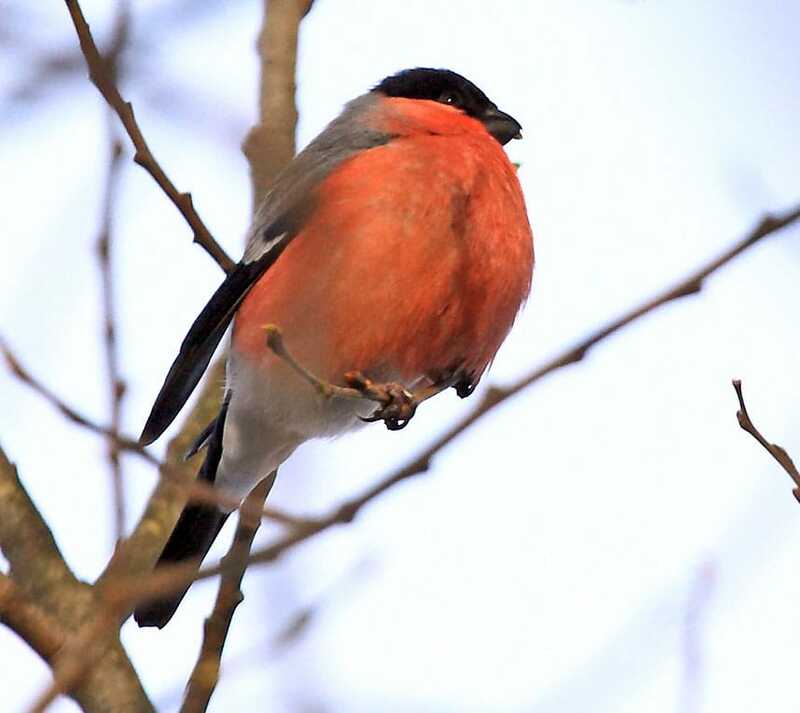 A highlight of the walk `wildlife-wise` was a flock of half-a-dozen Bullfinches feeding on the trees in the reserve but, although they were fairly tolerant of my presence, a couple of approaching dog walkers caused the birds to take flight. I also spotted a Goldcrest, Britain`s smallest bird, before it took flight from the conifers near the Erskine Bridge Hotel. Elbetor sailed into view as I continued along towards the Boden Boo. A sister of Holstentor, Elbetor has been visiting the Clyde for many years. ​The 1990 Portuguese-built coaster, has a deadweight of 3,432 tonnes, and is 87.0 metres long. She has carried three previous names, being completed as Port Faro, then becoming Baltrum in 1993 and Lady Clara two years after that. She was given her present name in 2005. 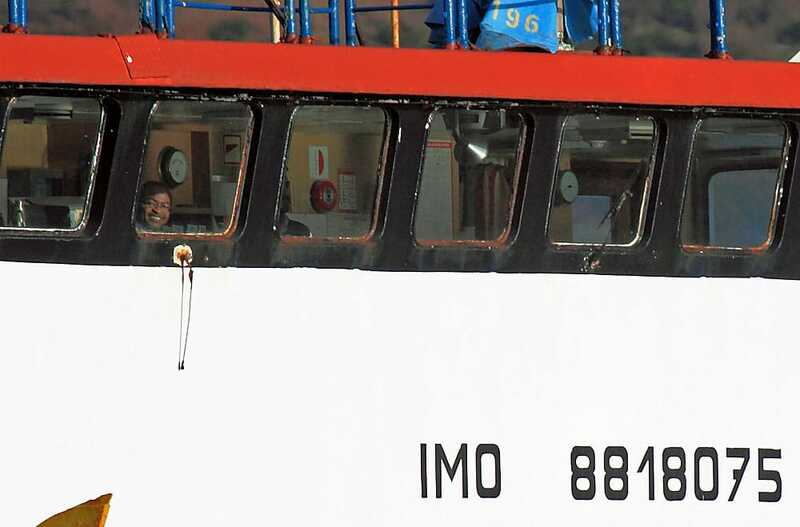 It looks as though at least one crew member is happy at his work! 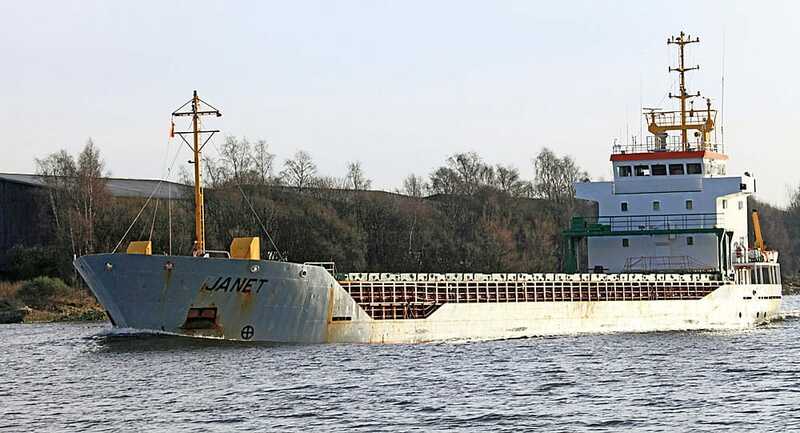 ​The last `bird` sighting of the trip was called Janet and she was bound for Seville with a hold full of scrap from the scrapyard at the old Lobnitz site in Renfrew.